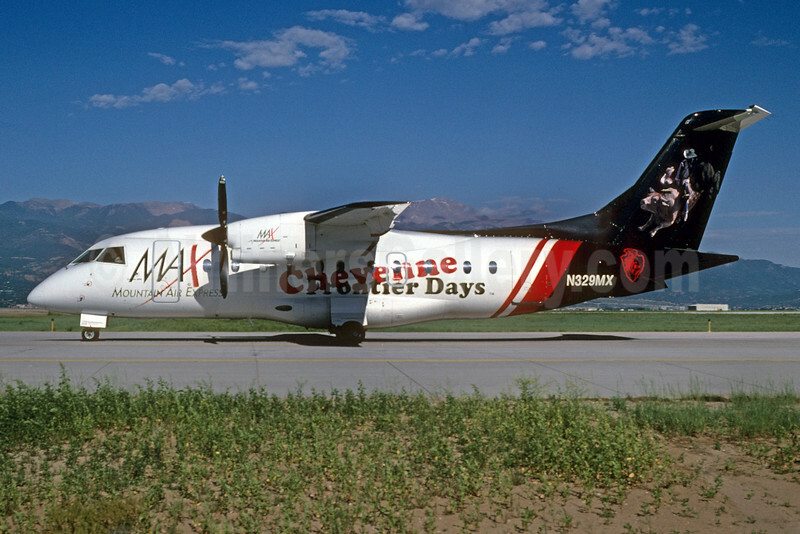 (subsidiary of Western Pacific Airlines) (M7/PKP) (Colorado Springs) 1996 - 1998 (acquired by Air Wisconsin, became an United Express carrier). Photos. Framable Color Prints and Posters. Digital Sharp Images. Aviation Gifts. Slide Shows. MAX-Mountain Air Express Dornier 328-120 N329MX (msn 3049) (Cheyenne Frontier Days) COS (Bruce Drum). Image: 102912.